Pursuant to the Home Improvement Consumer Protection Act, all contractors that perform $5,000.00 or more in work for home improvement must be registered with the State and carry adequate insurance. The Office of the Attorney General oversees the registration process. Anyone can look up a contractor on the Attorney General’s website to determine whether or not a specific contractor is licensed and/or insured. 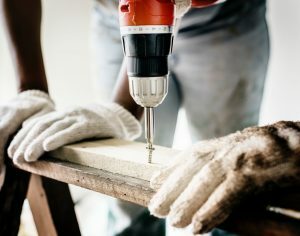 Risk of hiring a contractor that is not licensed and/or insured: If the contractor is injured while performing work on your home and he/she is not insured, a claim may be filed against your homeowner’s insurance, forcing you to pay your deductible, due to the lack of coverage on the contractor’s part. Also, if your home is damaged during the home improvement or construction process, your homeowner’s insurance may deny coverage of that claim. Under your homeowner’s insurance policy, negligence or poor workmanship of a contractor is typically not covered. Therefore, it is important to check whether or not the contractor you are hiring is licensed and insured. The website where you can check is available on the Office of the Attorney General’s website or you can call their toll-free hotline. If you have any questions about the Home Improvement Consumer Protection Law or if the contractor you hired isn’t completing the work he/she was hired to do as you expected, contact our office today at (570) 622-5933.